I loved creating this page. 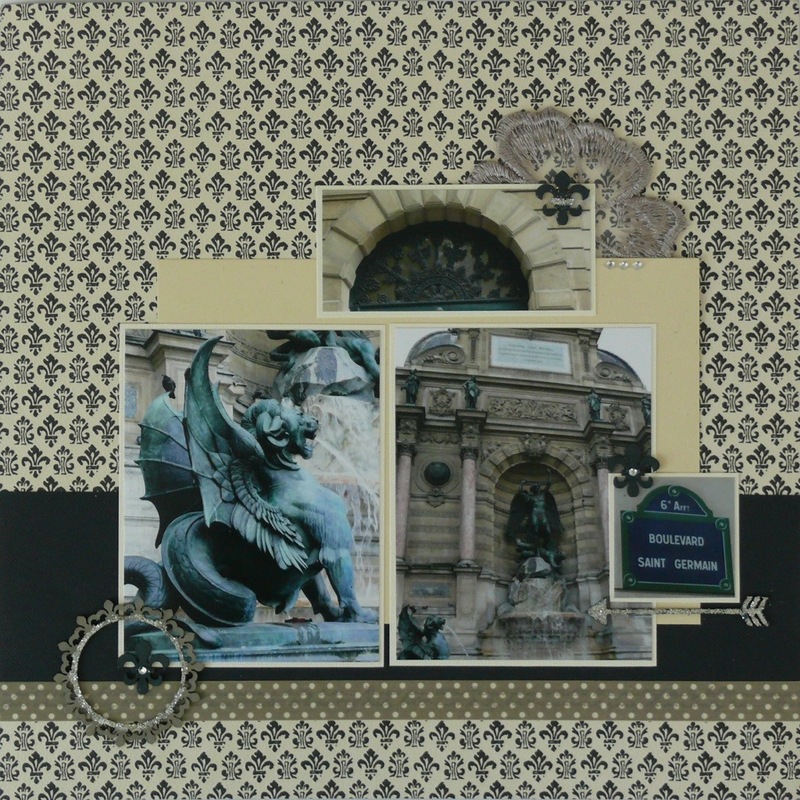 The background paper screamed France at me, so I’ve been saving it for a Paris layout. I’m glad I did, the colours work really well with these St Germain photos. Once I laid down all the photos it seemed a bit dark, so I added a little glitter to brighten it up. I’m not normally a fan of glitter, but I recently came across Martha Stewart glitter tubes. The glitter comes in a range of colours and the best thing about it is the fine texture. I think I’m converted!